We interrupt our irregularly scheduled agenda to present a brief comparison: vegetarians vs omnivores. Vegetarians mainly eat plant material to the exclusion of animal flesh. While some splinter groups (vegans) abstain from not only meat but also animal products like milk, eggs, even honey, others (fruititarians) strive to eat products which do not harm the plant of origin, such as fruit dropped from various fruit trees. Typically the choice to go vegetarian is inspired by sympathy for animals slaughtered for their meat, such as the plight of calves raised for the production of veal, or other animals that may endure great suffering in filthy conditions. Others may go vegetarian in order to abide by their religion. Omnivores eat either plant or animal material depending largely upon preference and availability. 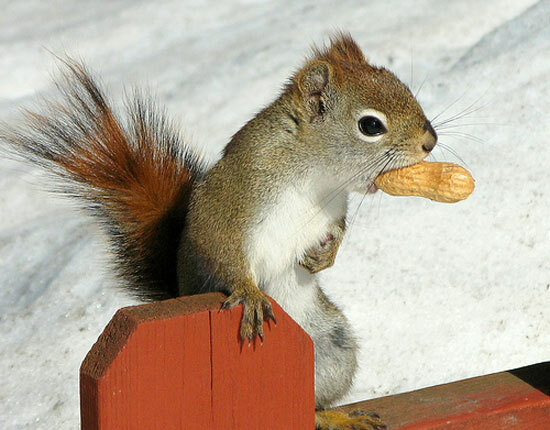 Squirrels, for example, are considered omnivores, primarily eating tree nuts, but may resort to eating meat if their primary food source is lacking. Human beings are included among omnivores, as our digestive systems enable us to digest many forms of plant and animal for nutrition. Humans also began the domestication of livestock for purposes of deriving various food products (milk, cheese, eggs) and for consumption of their flesh. The products derived from animals, particularly pigs, cows, and chickens, and indeed the livestock itself has for many become a staple. What is a cup of coffee without fresh cream? What's a slice of toast without a fresh pat of savory butter? What's a BLT without bacon? Society has become enamored with these and many other animal products, and as a result, whole industries have developed to provide consumers their fix, whether it's a slice of crispy bacon, a blob of whale blubber for perfume, or eggs for breakfast. We purposefully harvest lower animals for our use. Where this need finds a lot of controversy is particularly in various techniques for raising and eventually slaughtering livestock. Veal, for example, requires that a calf be essentially immobilized in a pen throughout its short life, so as to deter muscle growth which would compromise the tenderness of the resulting meat. Chickens which produce eggs for consumption may be maintained in small, cramped cages, and have their beaks trimmed to decrease the incidence of cannibalism. 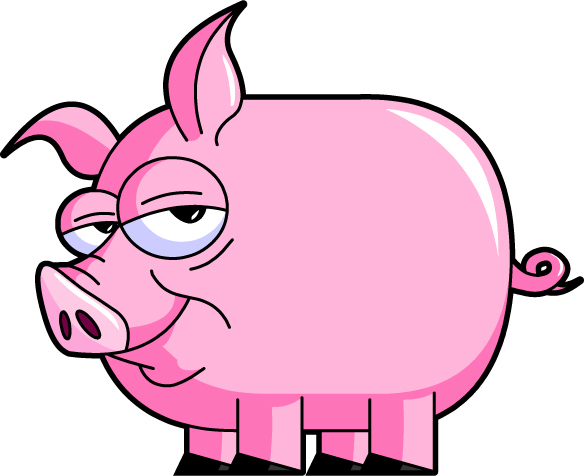 Pigs stunned and then dipped in scalding-hot water prior to slaughter in order to retain skin elasticity may still be alive and quite aware of their pain if the stunning procedure is botched. Ideally, an animal being slaughtered will be whisked quickly and painlessly from life, and feel no pain. Unfortunately, this often isn't the case, as many with PETA will attest based upon various hidden camera footage they feature, taken from among the worst slaughterhouses. In vitro meat (that is, meat which is essentially grown in a laboratory and has never been part of a living animal) will hopefully eliminate this issue altogether in coming decades, but in the meantime, many in the vegetarian world unequivocally decry the slaughter of animals for meat as cruel. There is among many vegetarians, particularly vegans, a hypocrisy regarding the consumption of meat. Meat is evil, say many practitioners of vegetarianism, as is the systematic domestication and slaughter of animals for their flesh. What, though, is flesh? It's a form of life. Each human being every day of their lives brings countless living creatures to death with every moment, sleeping or waking. As we live and breathe, our immune systems constantly scour our bodies for foreign organisms and, using macrophages as their enforcers, encompass these invaders and use powerful enzymes to rip these living organisms apart, molecule by molecule. With every step, our shoes may crush into oblivion countless ants, spiders, lizards, beetles, and other small insects and arthropods and reptiles and other lesser life forms, without so much as a polite warning. In the morning ritual of many who shower, shave, and brush their teeth, millions and millions of bacteria are annihilated by the scourge of antiseptic mouthwash. As we drive our cars along lonely country roads, many an unfortunate opossum, skunk, armadillo, deer, or even the rare bird may become roadkill, their life force left to ebb and ooze forth onto hot, tarry asphalt. Native Americans hunting buffalo on the prairies of old would not simply eat the meat and discard the carcass of their quarry, indeed, they would use it for various purposes in order to survive. 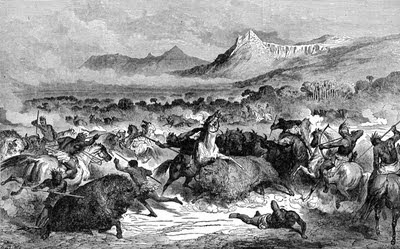 They wouldn’t discard half a buffalo like a few uneaten McNuggets in a Happy Meal, they actually honored their prey, and didn’t merely harvest it as a resource. To the vegetarians I present the idea that the problem with eating meat isn't the meat, it's the people. People react to the suffering of animals because they anthropomorphize them. Aside from the unfortunate prevalence of various animals with human voices in movies like Bambi, Watership Down, Babe and others, people can look into the eyes of an animal and see aspects of themselves. Pet a cow or pig and it’ll nuzzle up to your hand, eager for more. Feed a chicken and it will enthusiastically peck at its food and look to you eagerly for more. We normally don’t want to see animals suffer. Human emotion is unique to who we, as sentient, mostly intelligent animals, are, and people generally do not want to inflict suffering on animals let alone other humans if we can help it, because we are creatures with powerfully vivid imagination. If you prick us, we do indeed bleed, and we feel the cold steel of a needle shoved into our buttocks. Unless we’re deeply twisted, we don’t take any joy in inflicting such pain upon others of our kind. Vegetarians the world over wage their own campaigns of slaughter against the plant kingdom. Collard greens are prepared by first ripping the plants from the sandy earth, then grasping and rending asunder the leafy greens, and finally boiling the living plants in water for hours until the bulwarks of their fibrous structures succumb and go limp. Carrots are similarly plucked from their homes in the moist earth, given a gentle bath and perhaps a scrubbing in clean water, only to have their very skin peeled from their bodies and their bodies chopped or sliced into bite-sized portions. Stir-fried vegetables like broccoli, cauliflower, sugar snap peas meet their doom in woks across the nation, full of hot, sizzling oils that infiltrate their structure and render previously firm cell walls into flaccid remnants of their former selves. Sprouts of alfalfa, lentil, and others find themselves drowned in copious amounts of ranch dressing, then macerated by eager human molars within bowls of salad. Importantly, vegetables don’t scream. They don’t have a brain, sophisticated nervous systems, thoughts or feelings, at least as far as we’re aware. They live, reproduce, and die, but they’re not human. 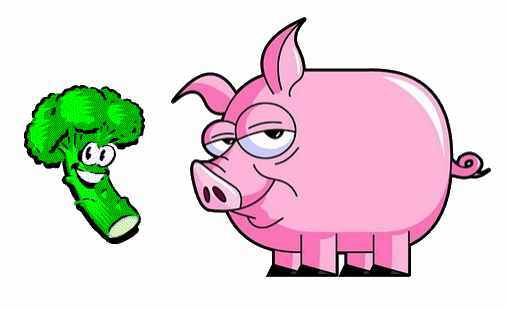 We can’t relate to a carrot or head of lettuce or broccoli in the same way we can to a cow or pig or squirrel. 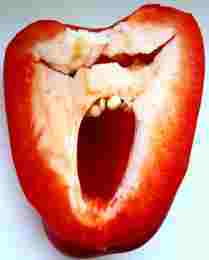 A vegetable doesn’t have eyes, lips, a mouth which even at rest our brains could confabulate as representing a constant, oafish grin. It doesn’t have any redeeming features that would make us think twice about ripping it from the earth and making it our meal. As ludicrous as it sounds to relate the peeling of a carrot to a person having their epidermis thinly sliced away, it simply doesn't evoke the same visceral discomfort in the context of a vegetable. Many of us, myself among them, don’t dwell on the suffering of the package of bacon or porterhouse steak that lay invitingly on the plate before me at dinner. Indeed, many of us insulate ourselves from this reality by referring to it as a product, purchased with money from the local supermarket. Would I wish the animal I’m about to enjoy having suffered on their journey from pasture to table? Absolutely not. Will I willingly patronize purveyors of meat that don’t respect the notion that animal cruelty is reprehensible? No, I will not, as best I can based on how government enforces rules to prevent it. However, let’s not try to suggest that vegetarians and omnivores are so dissimilar, they aren’t. Each group snuffs out the life force of countless living plants and/or animals with similar efficacy, it’s just that plants are simpler life forms that don’t have the hardware to raise their leaves in protest, nor the ability to appeal to human empathy nearly as effectively as, say, a talking pig. @Anonymous: My assumption is based on my own experiences with people who've chosen vegetarianism, many of whom have done so mainly out of sympathy for eating the flesh of what was a living thing. I meant no disrespect to any other viewpoints, such as the impact that raising and slaughtering livestock have on the environment nor restrictions imposed by one's religion, I just started with what I myself know and began from there. Thanks for the clarification and additional info regardless!